Arnold/North Jefferson County Residents: We Specialize in Flooded Basement Cleanup and Restoration! The bottom line: a flooded basement can jeopardize your health, safety, and your home’s integrity. 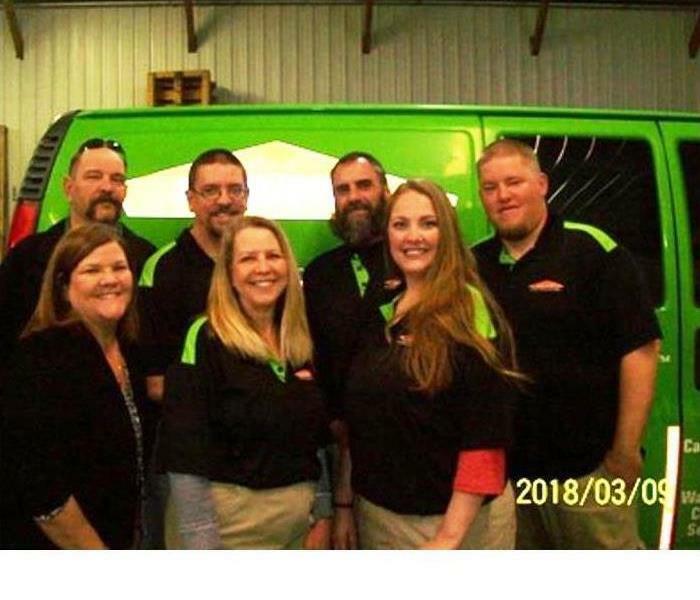 It’s worth making a call to SERVPRO of Arnold/North Jefferson County and let our trained, professional crews handle the situation safely and correctly. We have earned the trust of hundreds of homeowners, business owners, and property professionals. 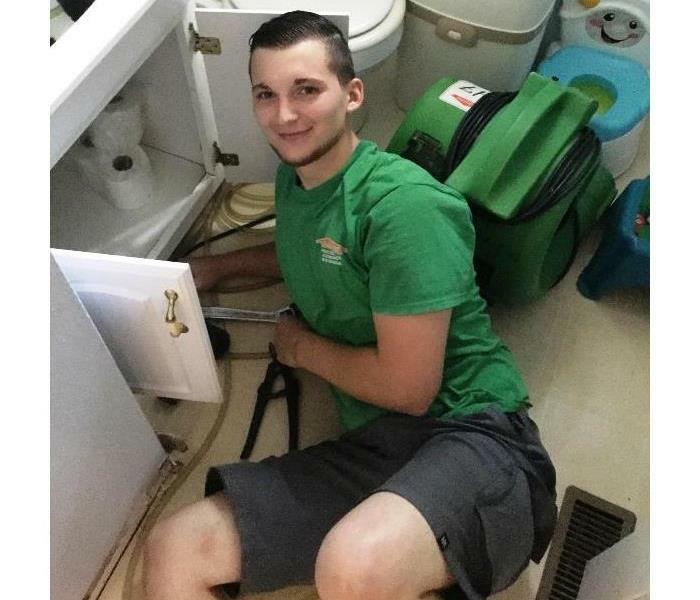 Daniel, one of our technicians hard at work getting a sink unhooked! SERVPRO of Arnold/NJC is available 24 hours a day for water emergencies, large or small. When you are dealing with water damage, immediate action is crucial. A delay of just a few hours can greatly increase the severity of the water damage. We understand that when you call us, you may be feeling confused, stressed, and vulnerable. You need an expert to guide you through this crisis. SERVPRO of Arnold/NJC has the specific water damage training and experience to help you through this tough time. We specialize in water damage restoration—in fact, it's the cornerstone of our business. SERVPRO of Arnold/NJC specializes in the cleanup and restoration of residential and commercial property after a fire, smoke or water damage event. Our staff is highly trained in property damage restoration. From initial and ongoing training at SERVPRO’s corporate training facility to regular IICRC-industry certification, rest assured our staff is equipped with the knowledge to restore your property. Arnold/North Jefferson County Residents: We provide immediate service day or night! SERVPRO of Arnold/NJC provides 24-hour emergency service and is dedicated to being faster to any-sized disaster. We can respond immediately to your emergency and have the expertise to handle your restoration or cleaning needs. 8/7/2018 - Arnold/North Jefferson County Residents: We Specialize in Flooded Basement Cleanup and Restoration!